This method may not be appropriate for those with tight time restrictions, but if hand-washing your clothes is too time consuming, you could still save by Making Your Own Detergent. Based on the combined cost of water, electricity and/or gas, a person could save as much as $1.15 per load washing their clothes by hand… If you do 5 loads a week, you would save around $300 a year. Cut a hole in the center of the bucket lid, (just big enough for the plunger handle to slide through). If desired, you can create a gasket for the hole using an empty pill bottle, or piece of rubber tube. Take your plunger and cut several quarter-sized holes around the surface of the rubber (this will help the water push through the holes as you plunge). 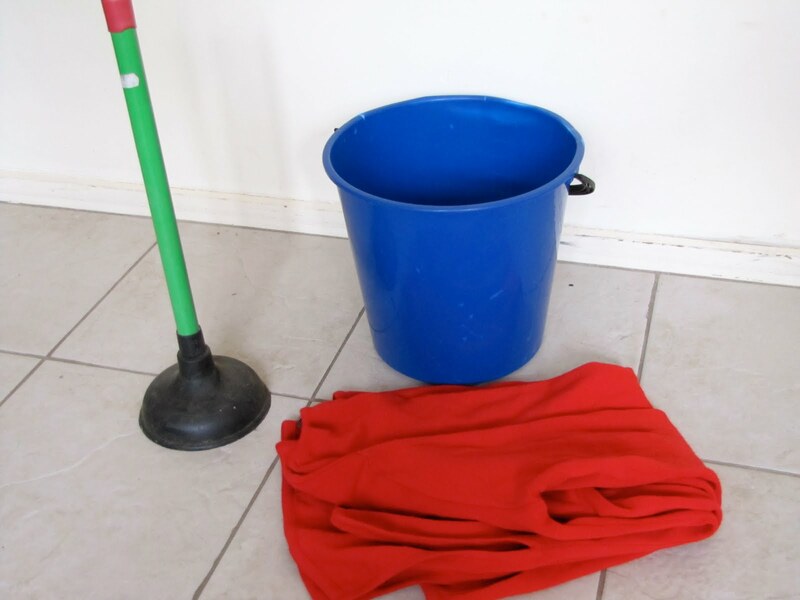 Slide the plunger through the lid, throw in some clothes, water and soap, and place the lid on tightly. To wash your clothes, simply plunge them through the bucket, then do a “rinse” cycle. To soften, you can add your homemade softener to the RINSE cycle. Ringing out the clothes simply involves running them through the roller bucket, or hand-wringing them, and hanging them to dry. (Note: Hand-wringing can create more wrinkles).